As a kid growing up near Detroit, Mr. Hans Abrahams was surrounded by American muscle cars. His father, however, hailed from Britain and introduced young Hans to the world of 1960s European Rally Championships. Hans’s cars now include a Canadian-built 1967 Volvo 123 GT, a 1966 Sunbeam Tiger Mark I-A, and a 1965 MG B, and when he cranks the ignition on these cars, you’ll abandon just about every notion you have about staid Volvo family-haulers and dowdy British sports cars. 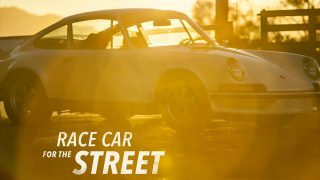 Over the past 40 years, the Carrera RS has earned a reputation as the greatest dual-purpose Porsche ever produced, the very essence of balanced quickness. In 1973, however, the RS was not certified for importation into the United States. And yet, somehow, four of these cars snuck across the border into the US. One of them, serial number 1309, ended up in the hands of famed race car driver and Porsche distributor Vasek Polek and now makes its home with Mr. Mark Haddawy, who seldom misses a chance to sling it through the canyons near his home in Los Angeles. “Fine, we’ll do it ourselves.”If this isn’t stamped somewhere on the BMW M1, it surely should be. The car was originally conceived as a joint Lamborghini-BMW project that would produce a race car with enough street units to meet homologation rules for Group 4 racing. Trouble was, Lamborghini found itself in financial straits and the fellows up in Munich were thus left to finish the M1 on their own. What resulted was a Giugiaro-designed, mid-engined marvel that ended up being the fastest production car of its time. Would you care to guess what the most winning Ferrari chassis in history is? It's not an ex-Formula One car and it isn't an Indy racer. It is, most likely, chassis number #0672, this 625/250 TRC. 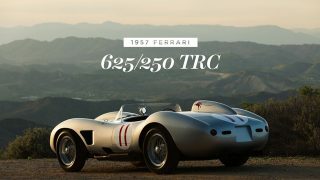 After a few races, Mr. John von Neumann ordered the first 250TR engine (#0750TR) and had Mr. Richie Ginther shoehorn the big V-12 into the diminutive TRC and created a legend. For some, the dedication and passion invested into their vintage car approaches fanatical levels, much like those who push their limits in the ocean. Whether racing from Molokai to Oahu or paddle-boarding for miles and miles off California's coast, being in the ocean can become an obsession. 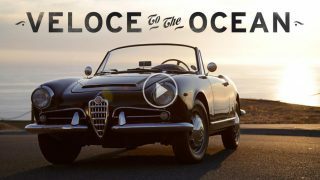 For Mr. Casey Annis, his 1962 Alfa Romeo Giulia Spider Veloce 1600 allows him to bridge the gap between his two pastimes—classic cars and the ocean. 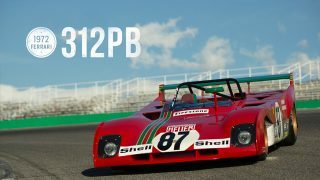 The Ferrari 312PB is special for another reason too: it was Ferrari's last sports prototype before they exited sports car racing to focus their efforts solely on Formula One. They put the exclamation point on a long and storied history by winning the championship. Nice trio used to have a 122S have had 2 Tigers and now have one. We have made a 100\% reproduction correct AC air filter housing. We list on on eBay but contact us thru CAT Tiger forum. 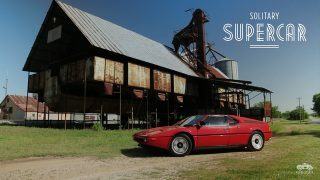 Another brilliant Petrolicious video! However, I must make note that when Chrysler bought Roots Group, it was not the huge 426 hemi that they had a problem stuffing into the Sunbeam, it was the small block 273, also with the distributor at the rear of the engine. Great cars Hans, that make beautiful noises. Another great video to showcase a nice diverse collection. Another great story! Those roads look like they are in the Lime Rock area. I’ve driven them many times. Living in Florida that is the one thing I miss, winding roads. Keep up the great work. Brilliant video once again. I can feel the passion leaping out of the screen at me. As a proud owner of a 1969 MGB GT and growing up in Abingdon (UK) it was great to see such an accurate rally rep being used and enjoyed! Thanks for sharing Hans. I’ve had the pleasure of going on car adventures with Hans, and am amazed that this incredible video was able to capture the spirit and passion of his love for cars. His research and level of knowledge, his attention to detail and execution are an inspiration. His cars are driven and enjoyed, as they were meant to be. And the cars are fantastic!! 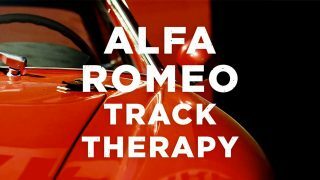 I’ve watched the video three times just to hear the incredible exhaust music!! My grandfather had a Tiger back in the late 60’s that he drove to and from work everyday. It didn’t see that lively of a time, but he loved it for the time he had it. It didn’t see a great end, though. Driving home on the highway at night, he lucked out and didn’t die when truck ran into him head-on. He went on to own several Datsun Z cars, but always said his Sunbeam was his favorite. The Sunbeam sounds epic. Really is a Cobra for a 10th of the money. I didn’t think the videos could get any better but you have out done yourself this time. We got to see three cars in one episode!. I think Im having a hard time choosing which one i like the most. Every car is a bit different and unique then the last one. I must say though i have always loved the Sunbeam tiger. I got to see one at the annual Hershey car show and it was amazing to see how they could fit such a engine into that car. Hearing that Tiger gave me goosebumps! That Sunbeam! What a riot and what a sound!